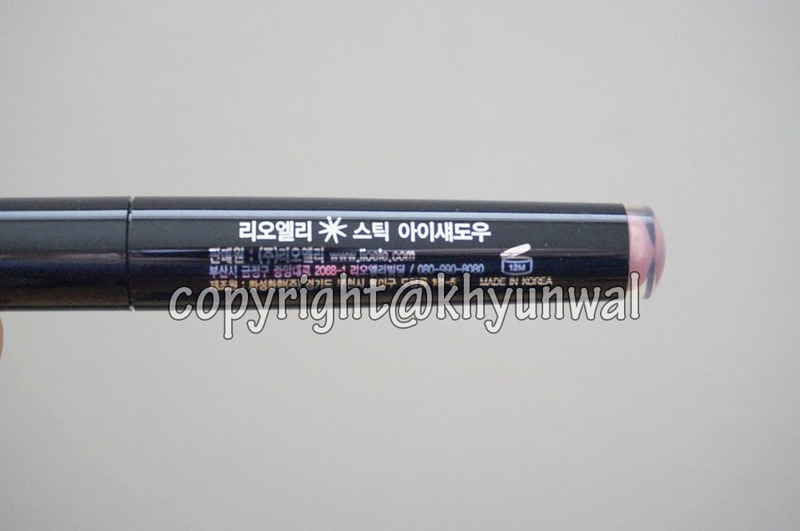 Hi everyone, I am back with another sponsored review from W2Beauty. 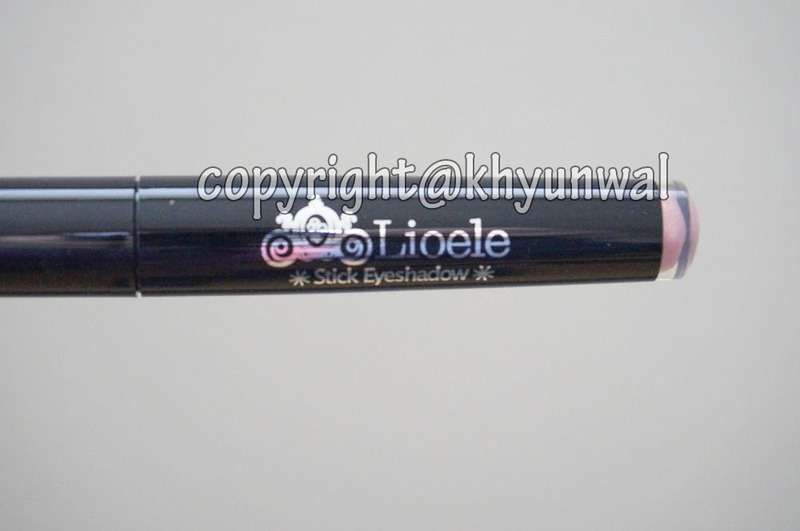 Today's product is going to be Lioele Stick Shadow! 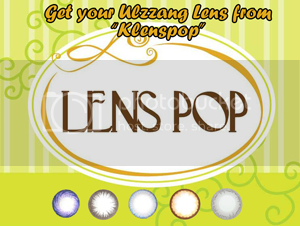 I would use this to create nice gradient look, because of its creamy soft texture, it is really easy to blend with other colors. 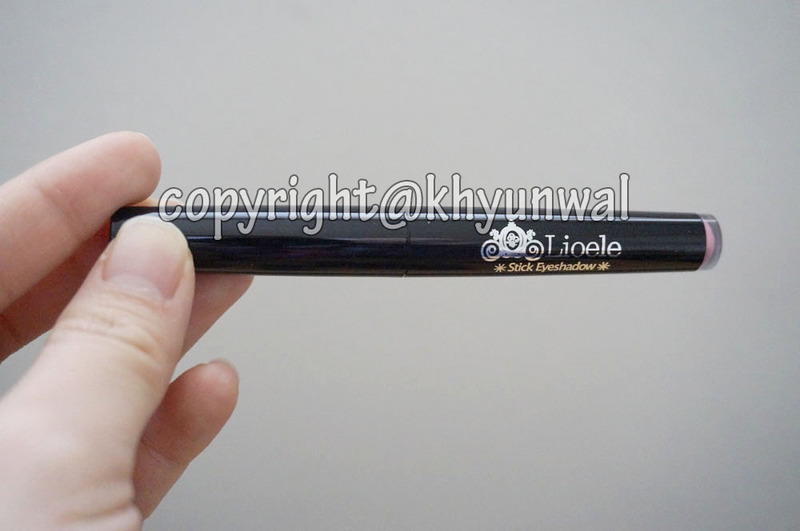 It is really nice about both Etude House and Lioele is that they made the bottom into clear plastic, so you can see the colors before you try it. Now let's look at the individual colors! I was quite surprised by the fact how light this color is. 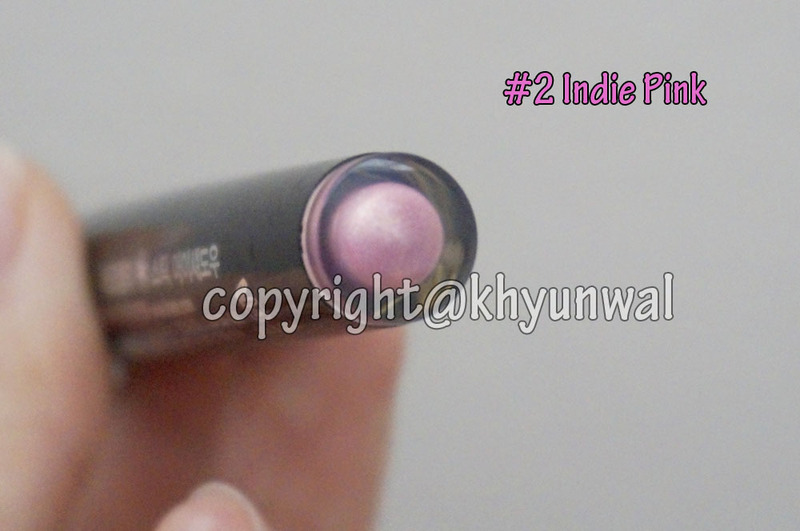 Usually when I buy Light Pink eyeshadow, they tends to have little bit more pink into it. 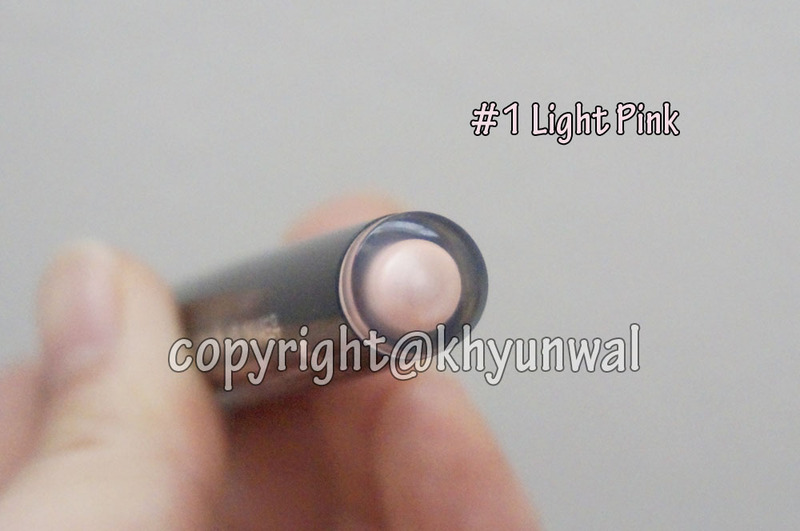 But this product has really nice baby pink color, so if you are looking for a shimmery baby pink eyeshadow, this is must get! This color has little bit of purplish color into it, which I find really amusing. 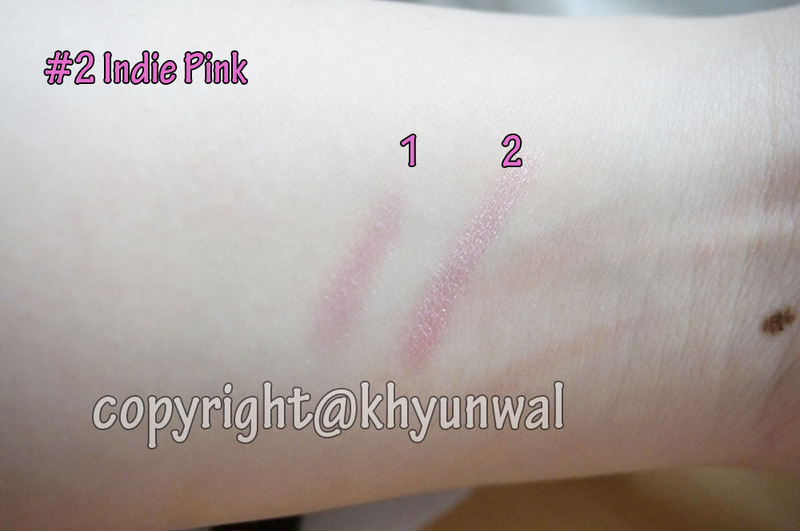 Although the product itself appears to be purplish pink color, once you apply it it gives really nice vivid pink color. 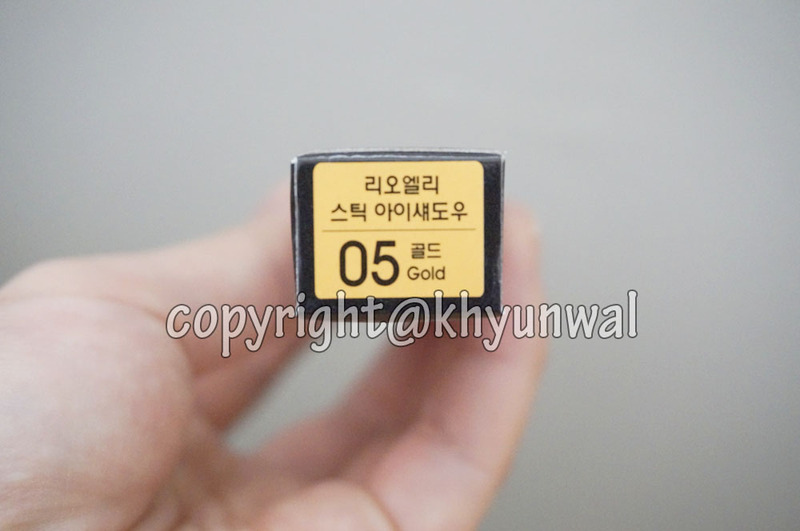 For gold color, although at the bottom it appears to be golden color, when I looked at the actual product, it actually has little bit more orange tint to it. 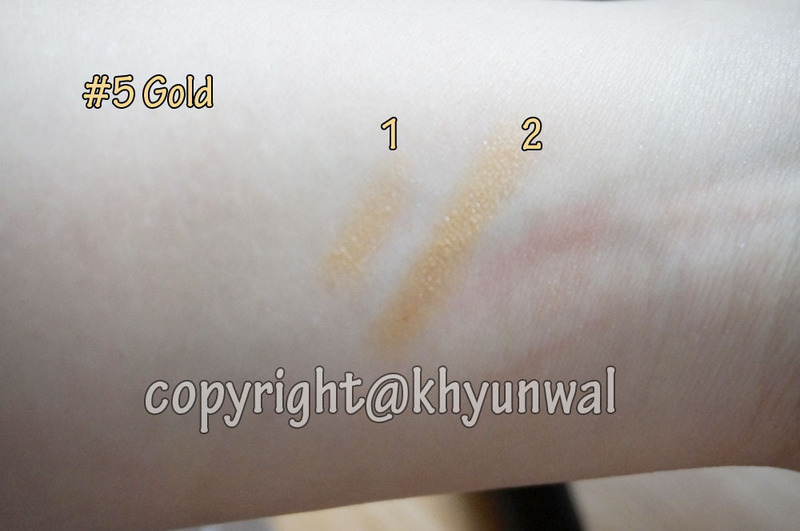 It almost look like orangish yellow color once you apply it. 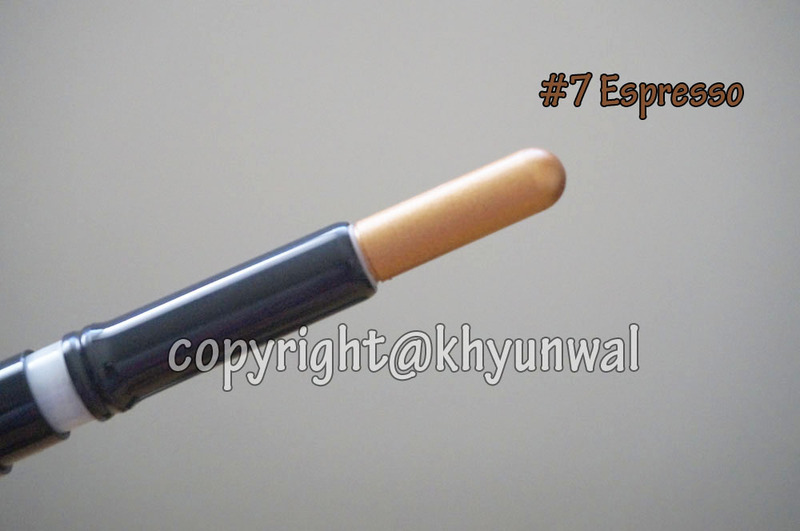 But it looks really great to create natural brown color eye make up. 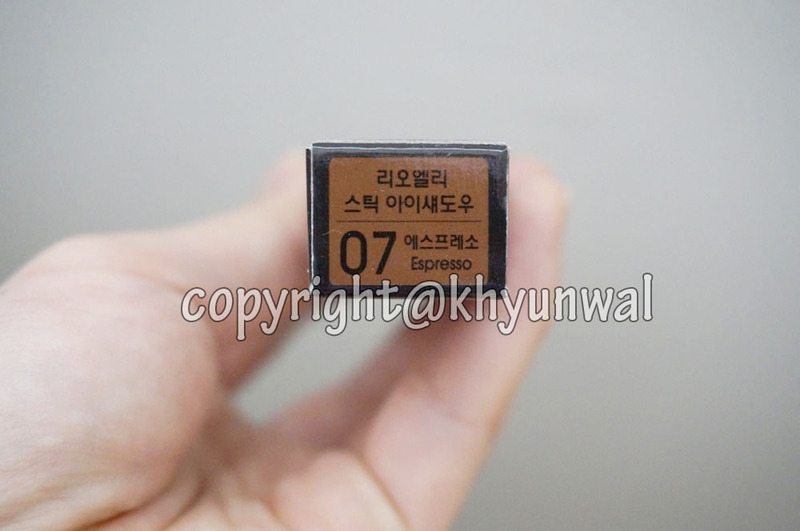 Although on the box espresso color seems to be really dark, it is more of light brown color, but that vivid dark espresso color does show up really well when you apply them. 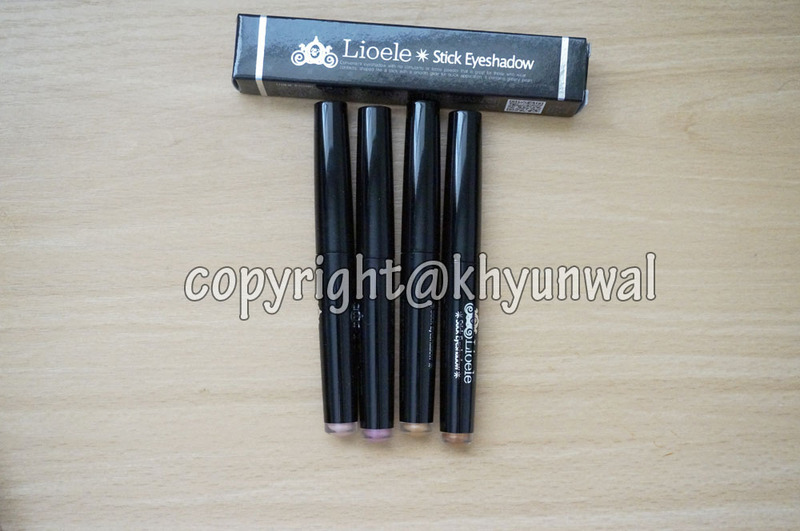 I just find Lioele Stick Shadows amusing how the shades change once you actually apply them. 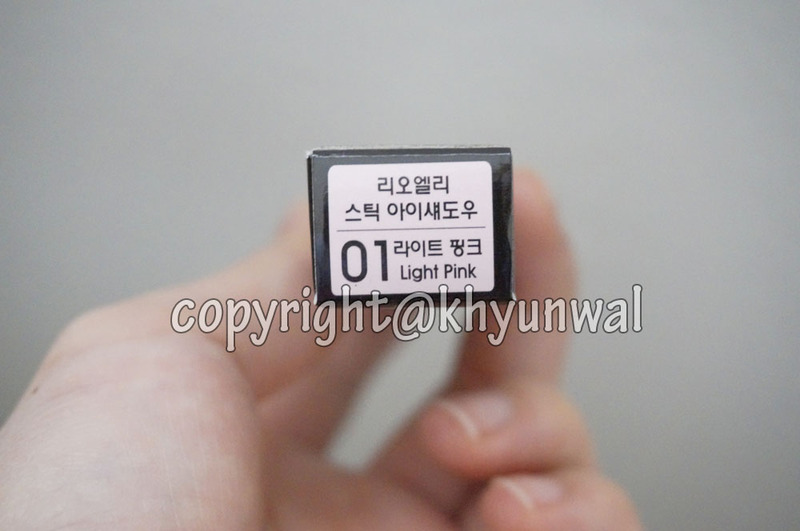 As you can see from the picture, Light pink is extremely light pink, which might be hard to see at first. So I would recommend you to apply at least twice, if you want color to show up more vividly. But along with that baby pink color it has little bit of orange tint into it. I think it might has to do with the color pigment of my skin, so color might change its shade depending on your skin color. 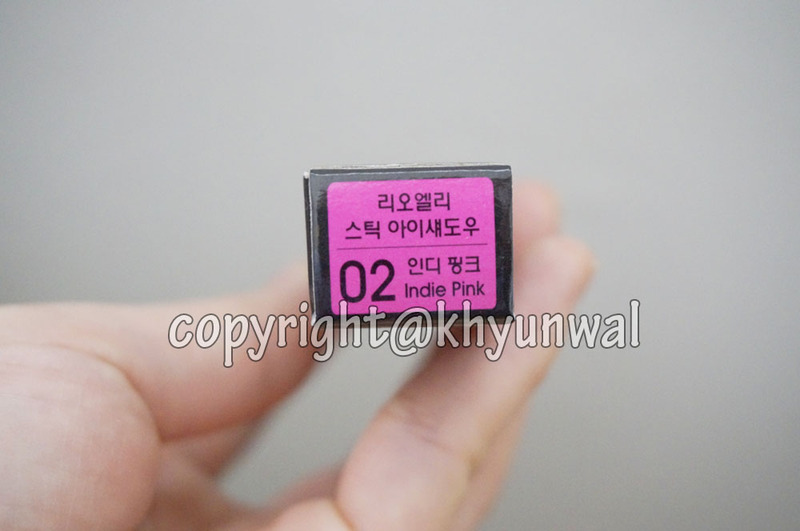 Indie pink has nice pink color with little bit of shimmer on it. Color shows up really well even if you apply it once, but you can apply twice if you desire more vivid color. 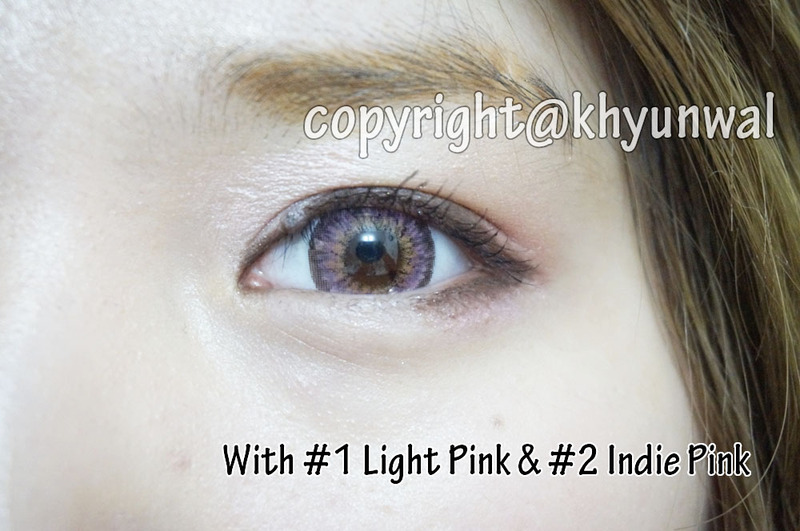 Since I do lots of gradient eye make up, I thought Light pink and Indie pink will blend in really well. 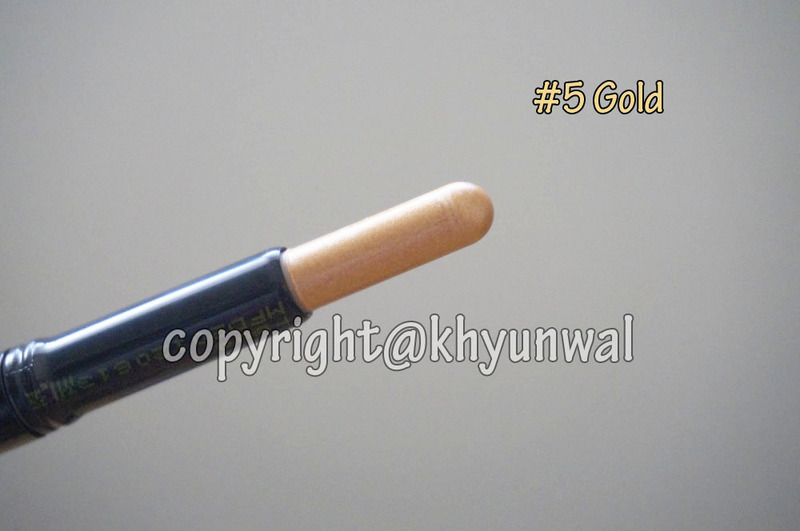 Gold color has nice golden brown tone to it, and it shows up really well even when its applied only once. I would use this over the ivory color to give nice gradient looks to it. 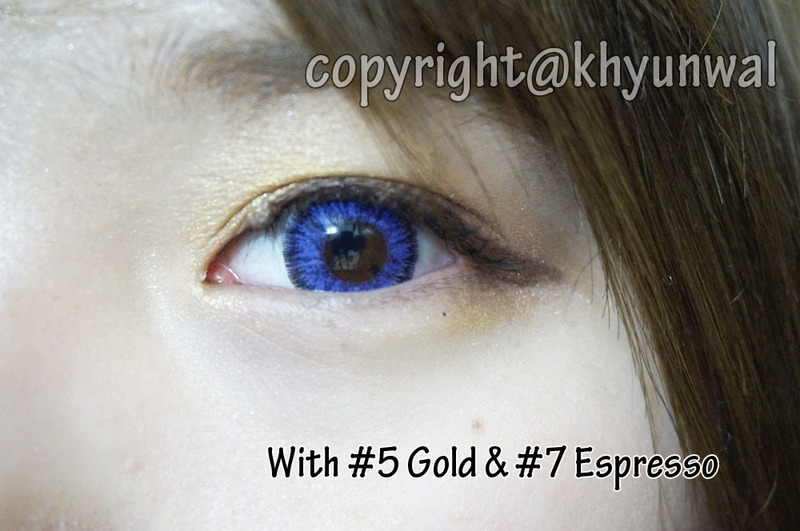 This color seems to go along really well with the blue or violet circle lens. 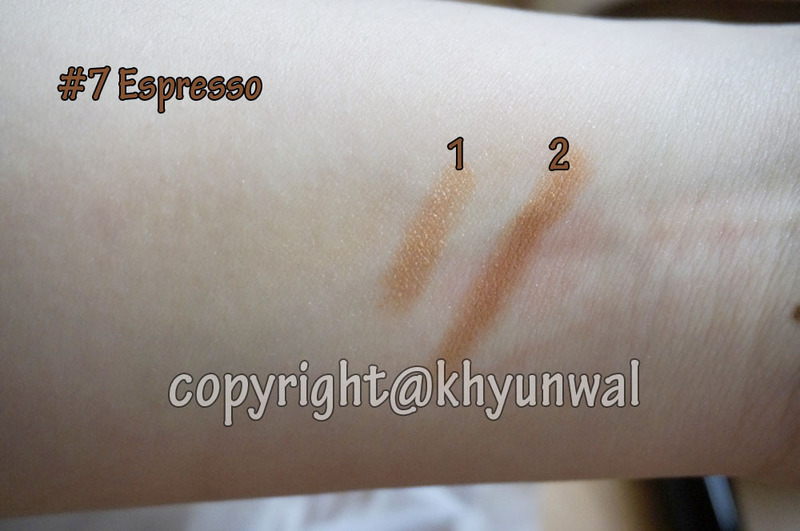 Espresso color has dark brown tone, and is actually little bit lighter than what I expected. 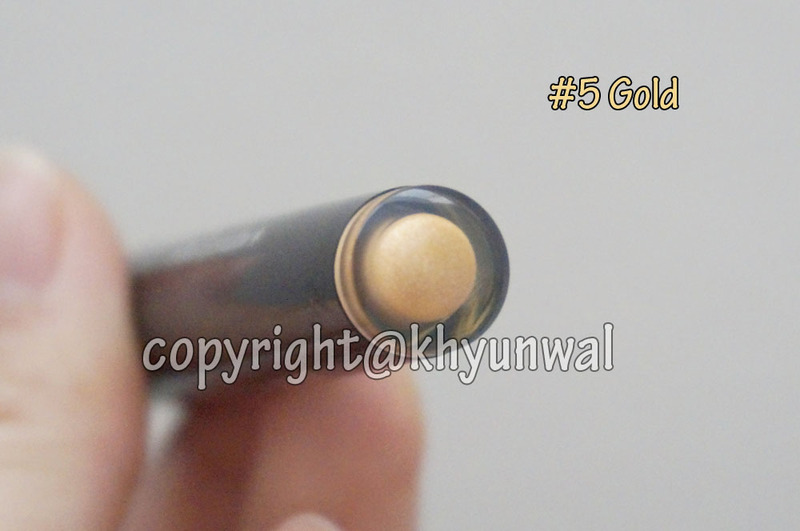 But just as well as the Gold color, this color shows up really well even when its applied once. I use this on my crease area to give more depth into my eyes. 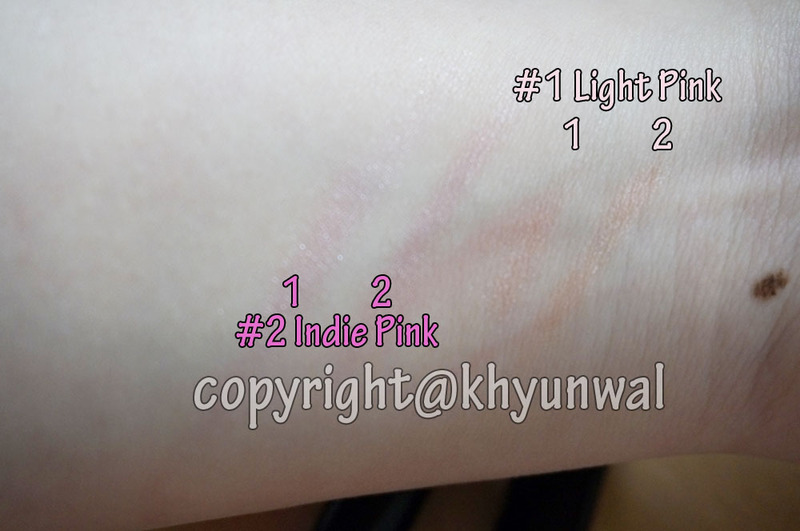 As I mentioned above, Light pink has little bit of orange tone to compared to Indie pink it. 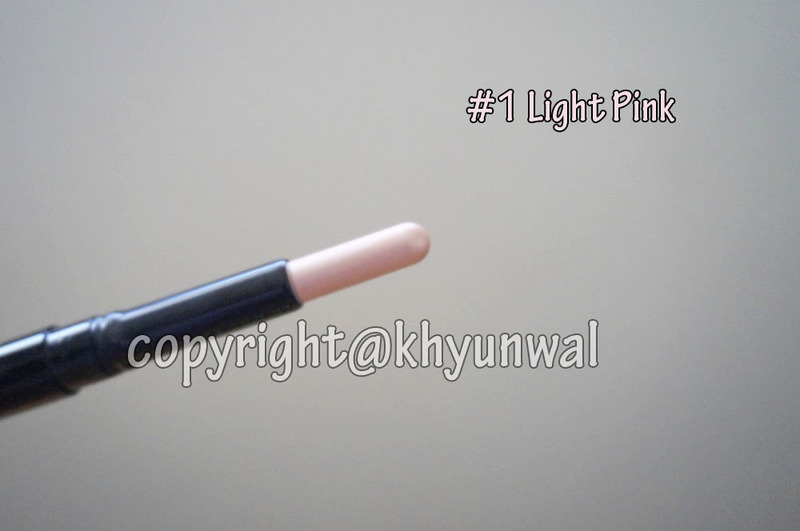 However I thought Light pink worked really well when its used as the base color for eye make up, and apply more color onto it with other shadows. 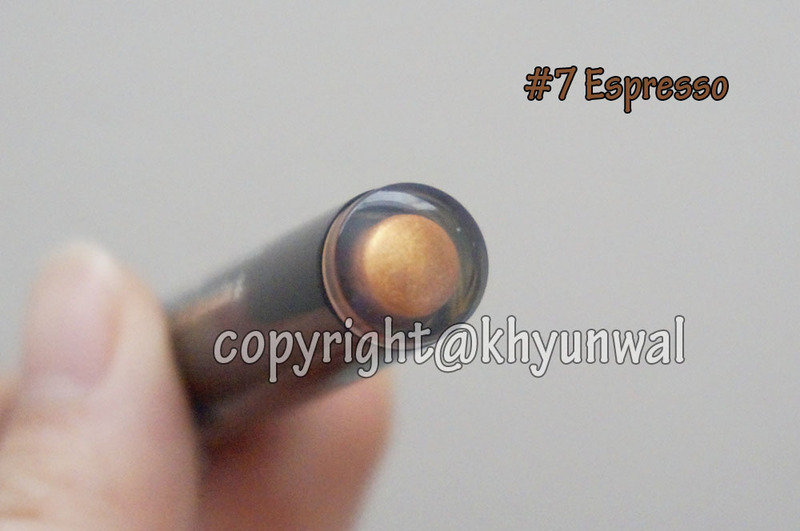 Gold and Espresso color will go great with each other, since they are similar brown tone into it. 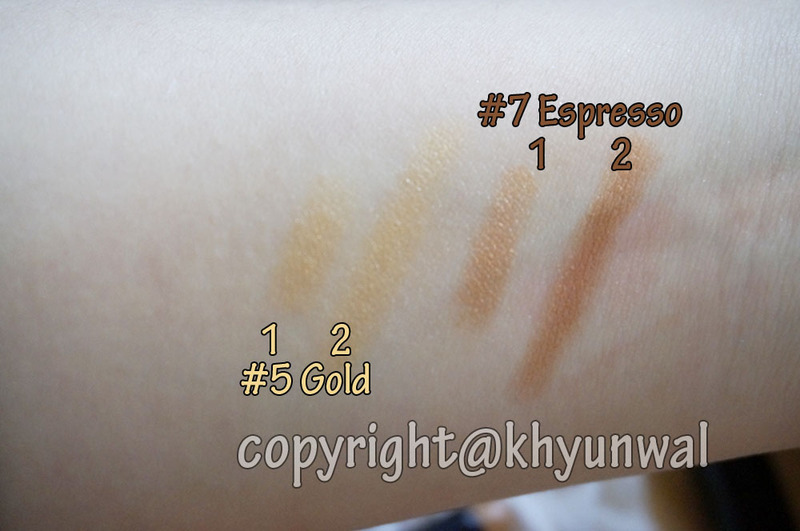 It seems like Espresso color appears to be little more orange tone, compare to the Gold, however they will work great together. 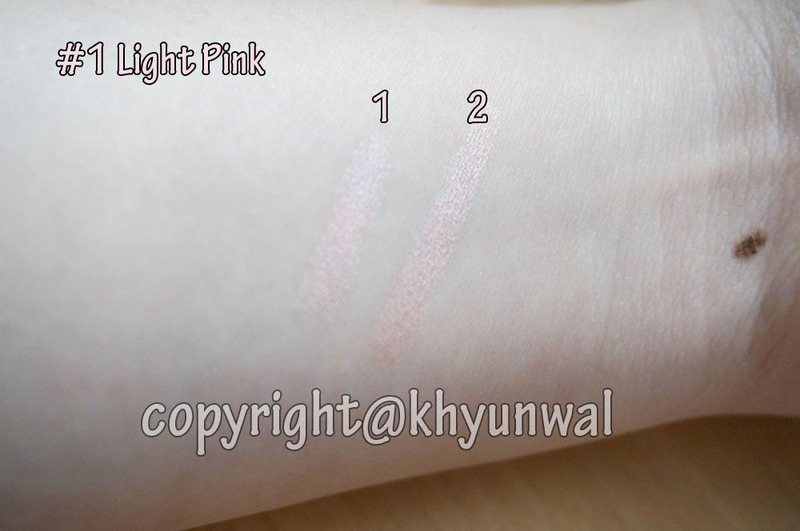 Both pink tones seems to appear lesser once its blended out, so I wouldn't recommend too much blending when you are using these two colors for your make up. 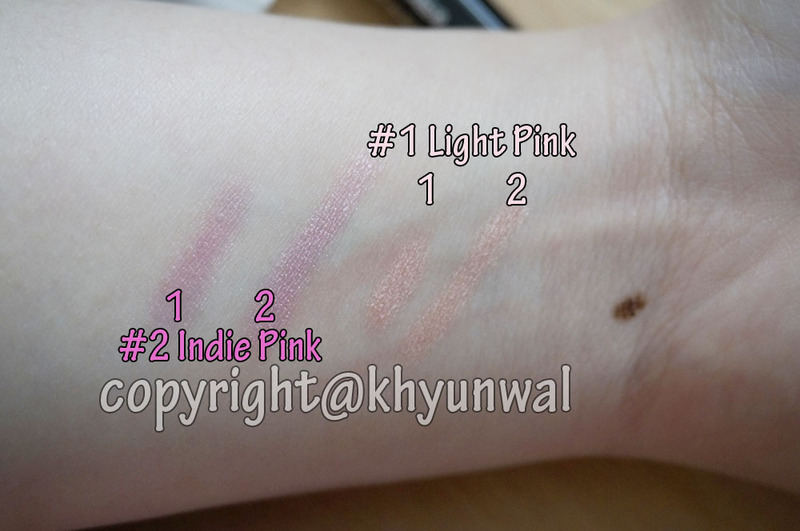 Unlike Light pink and Indie pink, these two colors shows up really well even though you blend them out. 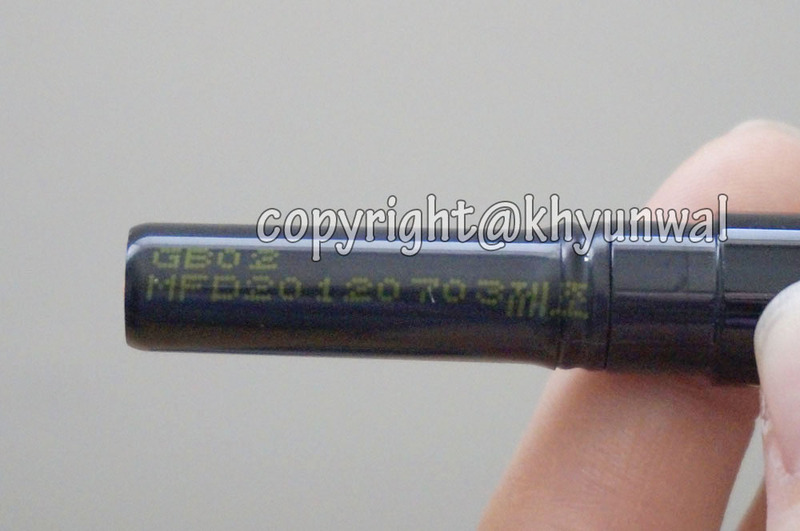 So this could be used as natural brown toned smokey make up if you desire. I used these products on two different styles of make up. 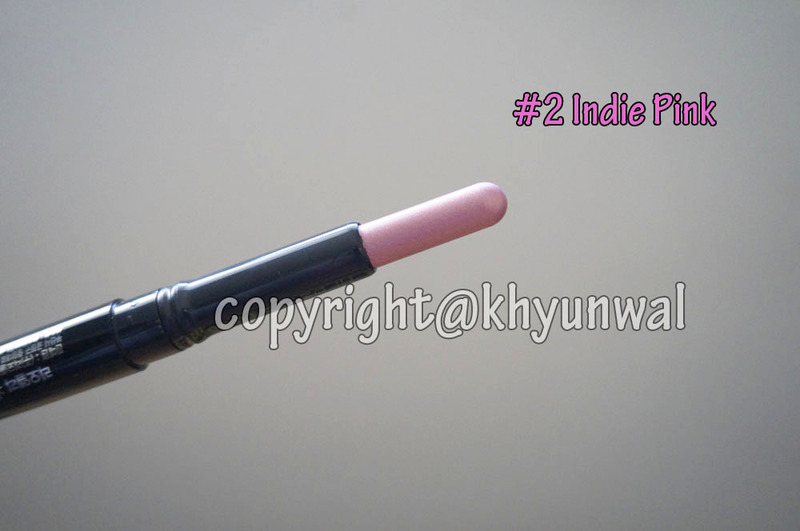 Both Pink color is little more harder to see, but it is great to create those innocent dolly look if you desire. 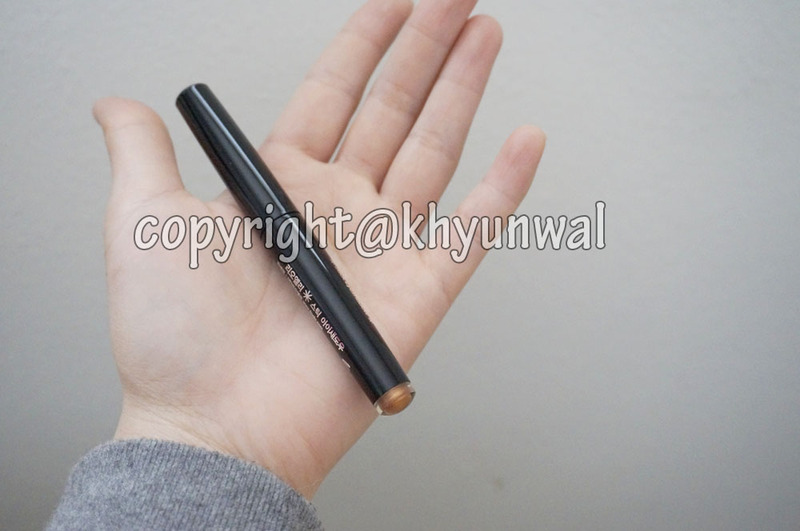 And I recommend to use brown color eyeliner to make your eyes to appear more subtle. 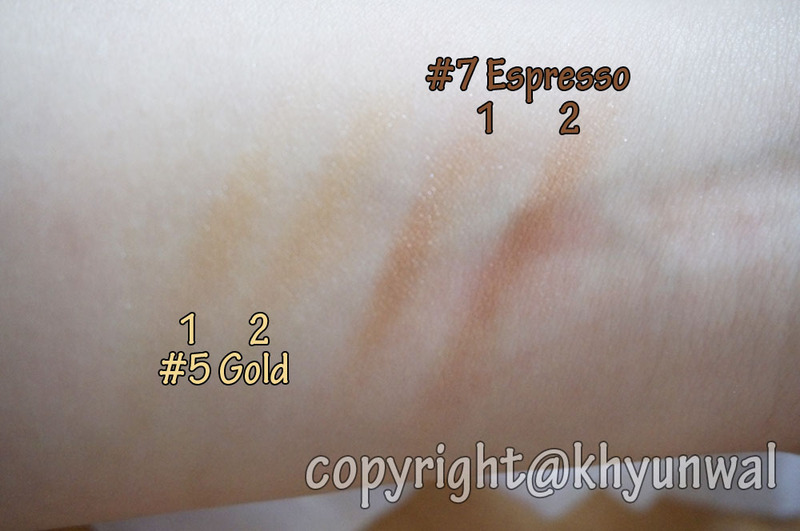 For Gold and Espresso, since they both have stronger color than the pink, I thought it wasn't necessary to put eyeliner on my lower lash line. 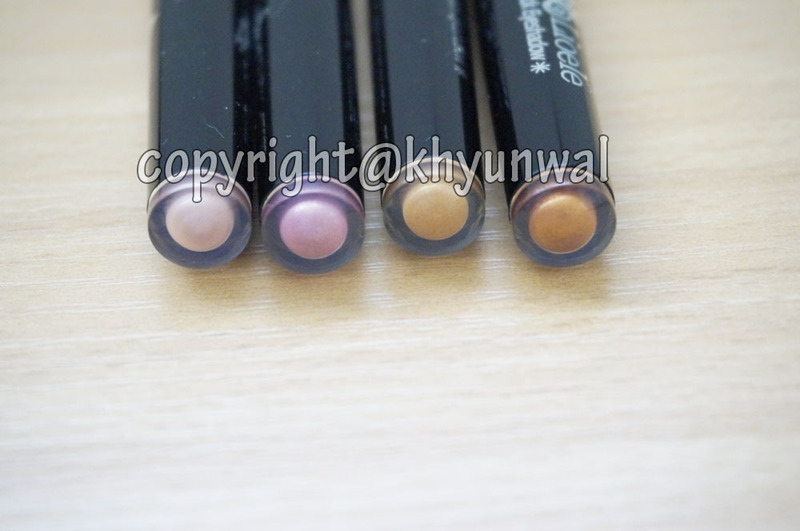 And for these two colors I would recommend either black eyeliner or brown eyeliner. I hope you guys enjoyed this review, and if you want to purchase them, you can get all different colors from W2Beauty. Also from March 1st to March 7th, W2Beauty is having 10& discount of Innisfree, Missha, Tonymoly, Etude House, and The Faceshop product, so be sure to catch this discount promotion!